Durable in frame, these Drum Clamp Lock are made of ductile and rust proof metal that is recommended by industry professionals. Experts give elegant finishing to these products to let users have best products. We apply minimal charges for these locks. Small in size, these products are presented in market in safe form. - 80 mm to 150mm. - 50 gram to 150 gram. Clamps for lifting of plates, profiles, sub-assemblies, steel frames etc. Clamps for the lifting and handling of steel drums. Load positioners for the lifting of unbalanced loads. 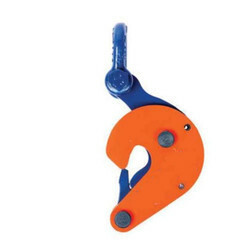 • Overhead Drum Clamp has the same application with cranes, electric hoists and chain hoists. • Able to lift large or small steel drum with / without lid and even irregularly shaped steel boxes. • When unlidded or cut drums / containers need to be lifted, grip edges should be welded / bolted on as shown top right. Being a prominent firm, we are engaged in manufacturing a distinguished assortment of MS Drums Clamps. Backed with diligent team of professionals, we are highly appreciated in selling Metal Cap Seals Drum Clamps. They are highly appreciated for its grip, robust finish and longer life. Drum Clamp are widely used in the petroleum and chemical industries and in other applications that require the handling of standard 55-gallon drums. 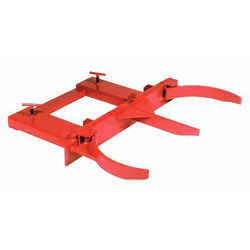 Drum clamps can also help improve productivity by handling up to four drums per load.